College students with symptoms of post-traumatic stress disorder (PTSD) drink more alcohol than their peers, according to a new study published earlier this year in the Journal of Abnormal Psychology. 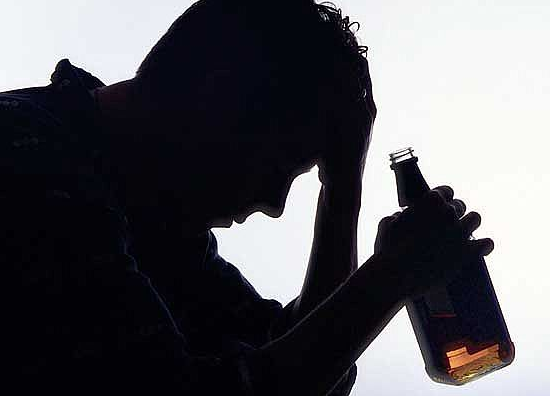 In addition to the problems normally associated with alcohol abuse, the students’ heavier drinking also exacerbates their PTSD symptoms, the study found. “The study doesn’t identify what traumas led to the students’ stress disorder, but it’s safe to assume a good portion of them are survivors of child abuse and/or neglect,” says Rayne E. Golay, psychotherapist, child advocate and award-winning author of The Wooden Chair, (www.raynegolay.com), a novel that illustrates the post-traumatic stress in the wake of child abuse and neglect. Parental alcoholism is often a factor in child abuse and neglect. It’s compounded by the risk that as adults, these children model their behavior on their parent – including drinking alcoholically. Golay, who specializes in addictions counseling, says that in her many years in practice, she saw one common misconception among her alcoholic patients: They all believed that their drinking didn’t affect anybody but themselves. Not everyone who drinks alcohol is an alcoholic, Golay is quick to note. And she’s not anti-alcohol. However, she urges parents and young adults to seriously evaluate whether alcohol is a problem in their lives, because there are solutions. • Ask yourself the following questions; if you answer “yes” to one, alcohol may be a problem in your life. Have you had the morning after drink? Do you envy people who can drink without getting into trouble? Does your drinking cause problems at home? Do you tell yourself you can stop any time you want although you keep getting drink? Have you neglected your duties because of drinking? Has anybody suggested you should stop drinking? • Try having one drink every day for a month. “One drink — that is, 12 ounces of beer, 5 ounces of wine or 1.5 ounces of hard liquor — one drink, no more, no less,” Golay says. “If you can do that, you’re probably not an alcoholic.” She suggests this test because most alcoholics can remain completely abstinent for a length of time, but they’re unable to stop after one drink. To an alcoholic, one drink is too much and a million isn’t enough. • If you think alcohol is a problem, a 28-day Minnesota Model treatment program gives good results. Golay mentions Faith Based Treatment (www.SoberRecovery.com), and Substance Abuse and Mental Health Services Administration (www.samhsa.gov) among other options. The residential Minnesota Model combines detox and counseling built around the principles of Alcoholics Anonymous (www.aa.org). Individualized, it includes the patient’s family. at Alcoholics Anonymous meetings are of vital importance for lifelong sobriety. “When the protagonist, Leini, in my book The Wooden Chair, is a young woman, she realizes that she’s relying more and more on alcohol to cope with daily life,” Golay says.